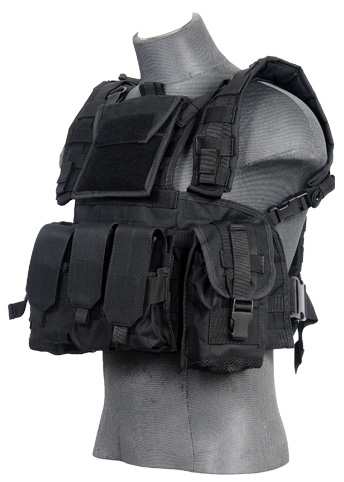 The Lancer Tactical CA-307 Modular Chest Rig in Black is your lightweight solution to having an all-purpose set up that rivals most plate carriers but without the additional bulk. 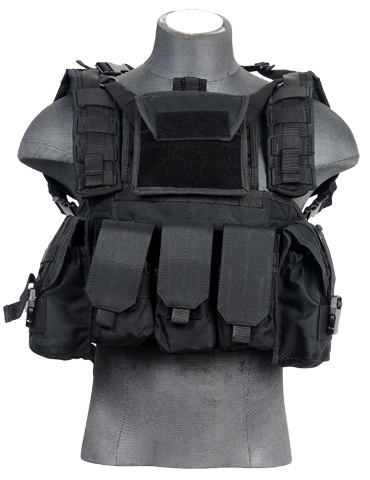 Essentially a chest harness, it features 3 major panels to provide you all the necessary space needed for a full tactical set up. Systems of MOLLE panels can be found on the front, back, and side to accommodate compatible pouches and accessories you may need in battle. The front section features a integrated Admin pouch compartment with a large Velcro panel for patches and other identifiers. While the large rear panel can accommodate a full sized 2.5 liter hydration bladder and is lined with lined with more MOLLE panels for you to use. As a modular designed chest rig, you can actually remove the back panel OR use the rear panel as a stand-alone hydration pack if you so desire! Made out of 600 Denier polyester material this harness will be sure to last you in the heat of battle whether you're running, gunning, or under fire, it'll be sure to stay and keep you in one piece over and over again. 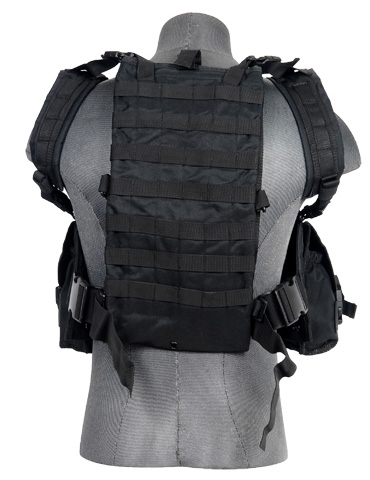 The shoulder straps incorporates both a adjustable slide and quick-release buckles for if you ever need them. The CA-305 series includes optional accessories such as a triple magazine pouch designed to hold M4/M16 magazines. The triple magazine pouch features 3 pouches with enough room to fit 2 magazines in each pocket to hold a total capacity of 6 magazines in total. While 2 large utility pouches are included with Velcro flaps and a adjustable quick release strap and buckle to hold things from small to large.